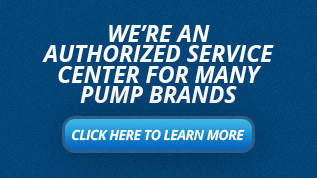 Let us help you size a Sundyne Ansimag pump in Wisconsin and the Upper Peninsula of Michigan today! Sundyne Ansimag sealless magnetic drive pumps are simple by design and top of the line in safety and performance. 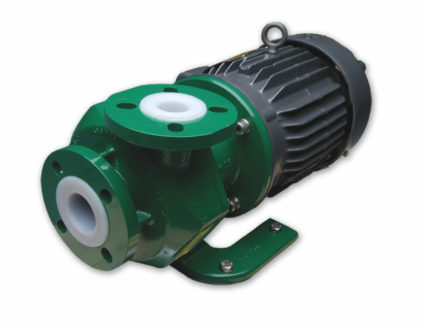 The Ansimag series pumps contain no mechanical seals or couplings due to their magnetic drive technology and leak-free Teflon lined wetted parts. Additional powder coating finishes prevent corrosion. Built to handle any high volume chemical process applications, the Ansimag pumps meet exacting ASME / ANSI B73.3 and ISO 2858 chemical process pump standards. The highly reliable sealless magnetic pump line covers a wide range of sizes and includes standard external dimensions so that they can easily replace other sealless and sealed pumps without changing piping or baseplates. They also meet standard design specifications and materials of construction. The innovative rear casing generates no eddy currents therefore eliminating heat generation and reducing energy costs in the systems. Ansimag pumps are designed sealless so there are zero leaks, zero emissions, and zero costly seal maintenance problems. 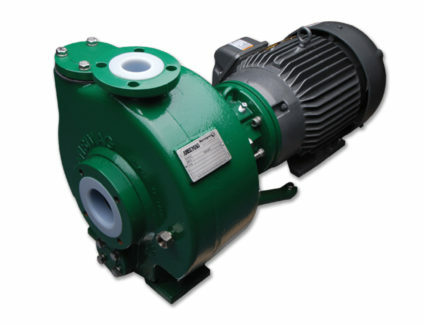 The K Plus is an ASME / ANSI B73.3 standard chemical process sealless magnetic drive non-metallic centrifugal end suction pump. This ASME / ANSI standard pump covers a wide range sizes and includes standard external dimensions so that pumps manufactured by other suppliers are dimensionally interchangeable with highly reliable Sundyne ANSIMAG sealless magnetic drive pumps without changing piping or baseplates. Materials of instruction include Carbon Fiber Reinforced ETFE or Glass Fiber Reinforced PFA with Silicon Carbide or Carbon Graphite bearings and numerous O-ring options. The K Plus is ideal for most corrosive or acidic applications in the chemical, specialty chemical and steel industries. 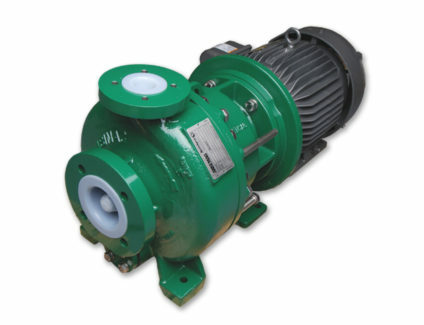 Horizontal centrifugal mag drive ASME / ANSI B73.3 standard chemical process sealless magnetic drive non-metallic centrifugal end suction pump. This ASME / ANSI standard pump covers a wide range of sizes and includes standard external dimensions so that pumps manufactured by other suppliers are dimensionally interchangeable with highly reliable Sundyne ANSIMAG sealless magnetic drive pumps without changing piping or baseplates. Materials of instruction include Carbon Fiber Reinforced ETFE with Silicon Carbide or Carbon Graphite bearings and numerous O-ring options The KF is ideal for most corrosive or acidic applications in the chemical, specialty chemical, and steel industries. Vertical in-line Chemical Pump designed by Ansimag to be ASME / ANSI B73.2 compatible. The Inline pump is designed to be reduce a large footprint of a standard ANSI pump be place in-line of application piping to maintain and build pressure through piping system. Materials of instruction include Carbon Fiber Reinforced ETFE with Silicon Carbide or Carbon Graphite bearings and numerous O-ring options. Perfect for processes with limited space requirements or to replace vertical sealed pumps. The KP Series Self-priming pump sealless magnetic drive non-metallic centrifugal end suction pump .with up to 21 feet of suction lift. This ASME / ANSI standard pump covers a wide range sizes and includes standard external dimensions so that pumps manufactured by other suppliers are dimensionally interchangeable with highly reliable Sundyne ANSIMAG sealless magnetic drive pumps without changing piping or baseplates. Materials of instruction include Carbon Fiber Reinforced ETFE or Glass Fiber Reinforced PFA with Silicon Carbide or Carbon Graphite bearings and numerous O-ring options. 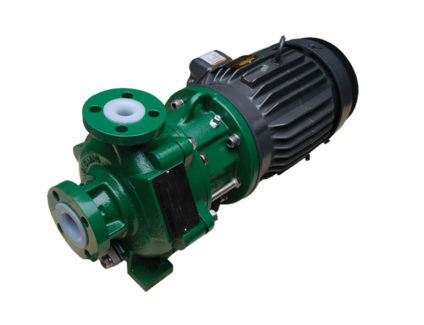 General industry chemical process sealless magnetic drive non-metallic centrifugal end suction pump. 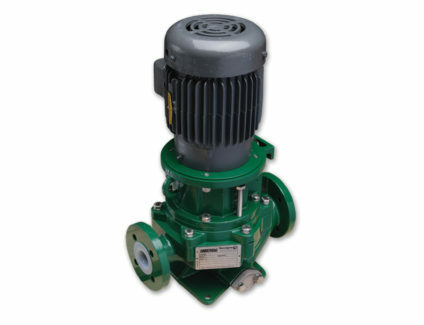 This general industry pump covers a wide range sizes and due to its small compact design can fit into applications where full ANSI dimensional pumps are not needed. Materials of instruction include Carbon Fiber Reinforced ETFE or Glass Fiber Reinforced PFA with Silicon Carbide or Carbon Graphite bearings and numerous O-ring options. The KM is ideal for Low Flow corrosive or acidic applications in the chemical, specialty chemical and steel industries. The KMLF (Low Flow) is an ASME / ANSI B73.3 standard chemical process sealless magnetic drive non-metallic centrifugal end suction pump. Materials of instruction include Carbon Fiber Reinforced ETFE or Glass Fiber Reinforced PFA with Silicon Carbide or Carbon bearings and numerous O-ring options The KMLF is ideal for Low Flow corrosive or acidic applications in the chemical, specialty chemical and steel industries.